Specially adapted from our original Noah’s Ark Cake to serve a few more guests! Customise this cake with your child’s favourite animals. 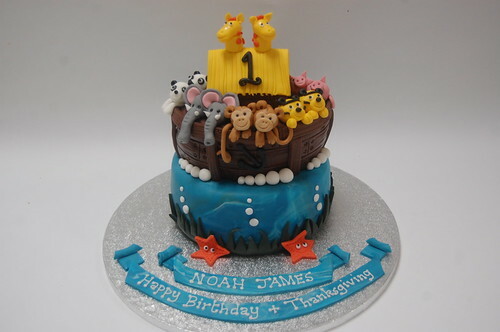 The Two-tiered Noah’s Ark Cake – from £100.